Cut fat quarter in half. You should now have two pieces that measure 10 3/4" x 18 1/2". Each piece will make one bag. Zigzag or serge around all raw edges. Clip any loose threads that bother you. Fold short edge down 1" and iron. Stitch 1/8" away from the edge. You should now have a 1" tunnel on each end. Using a 1/2" seam allowance, sew side seams. Make sure you don't sew into your ribbon casing. Turn bag right side out and iron. 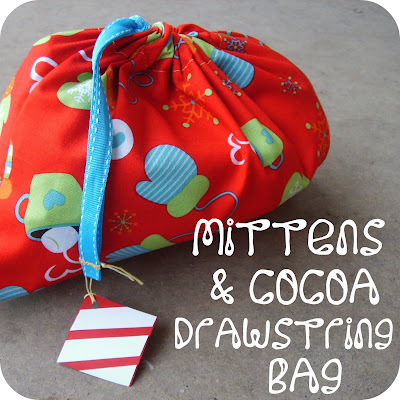 For each bag, cut one piece of ribbon. I used 1/2" wide ribbon and cut a piece 18" long for each bag, but I recommend cutting your ribbon longer--probably more like 25" long. Quickly and carefully run the raw ends of your ribbon close to a candle flame. This will seal up the ribbon ends to keep them from fraying. Secure a safety pin to one end of your ribbon. Using the safety pin as a guide, thread your ribbon all the way through the casing on both sides of your bag. When you've threaded the ribbon through one side of your bag, just keep on going and thread it right through the other side of your bag too. Once you've threaded the ribbon all the way through the casing on both sides of the bag, go ahead and take out your safety pin. 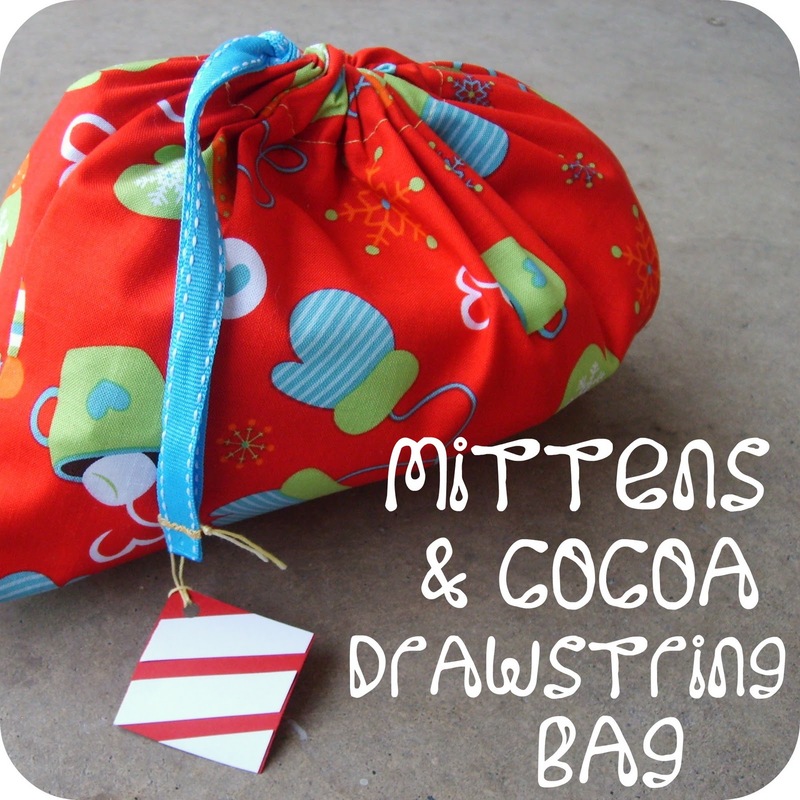 Once your ribbon is threaded all the way through the casing, you can leave your bag just the way it is and tie the ends in a bow once the bag is all cinched up. However, if you'll be using these bags as gift wrap for a child's gift (like I am) I recommend keeping your ribbon ends a little more secure so they don't slip through. You can do this by tying the ends in a knot. 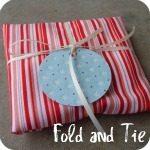 Or you can make things extra secure by sewing the ribbon ends together. 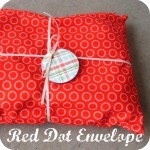 Then when you've got the gift inside just cinch up the bag and tie a knot. 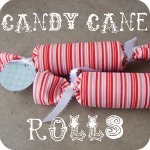 Those are cute :) I don't think I'll make any for this year, but I shall bear them in mind for Christmas 2011!